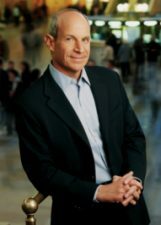 Jonathan Tisch is well-known as a top meetings industry leader and CEO of Loews Hotels, which owns and/or operates 17 hotels and resorts in the U.S. and Canada. Now his name is worth even more to meeting professionals who simply say, “Jon sent me” when calling any Loews Hotel and booking business by December 31, 2009. Through the Loews “Flexible Meetings” program, planners can negotiate competitive rates and get an additional 10 percent of the total room revenue in value-added savings from a range of services. These include food and beverage, audio-visual, health spas, business centers, meetings internet packages, airport transportation, VIP amenities, and more. But there’s much more to Jonathan Tisch than just a ticket to excellent discounts. Besides his leadership of Loews Hotels and his role as Co-Chairman of the Board and a member of the Office of the President of Loews Corporation, the hotel chain’s parent company and one of the largest diversified financial holding companies in the United States, he is Chairman Emeritus of the United States Travel Association, a Trustee of Tufts University, Treasurer of the New York Giants Football Team, and a Board Member of the Tribeca Film Institute. He’s also a prolific author, having written the Wall Street Journal besteller The Power of We: Succeeding through Partnerships and Chocolates on the Pillow Aren’t Enough: Reinventing the Customer Service Experience. ConventionPlanit.com sat down with Tisch at the 2009 ASAE Annual Meeting to talk about some of his many ventures and his views on the meetings industry. What’s new with Loews? Tell us about the new Loews Atlanta Hotel scheduled to open next year. The Loews Atlanta will be our 19th hotel, scheduled to open April 10, 2009 in the midtown section of Atlanta called 12th and Peachtree. It is a great opportunity in this current environment because it provides real value, and at Loews we think value is the new luxury. This new property and other Loews Hotels can help meeting professionals get to destinations they may not have thought about or thought possible. It is important for us to help planners understand their opportunities and instead of cancelling meetings to have meetings that are affordable. You were part of a group of top travel and meeting executives who met with President Obama in March about how the industry can help the economy. What are your impressions of the President and his commitment to supporting the industry? We were quite surprised as the President spent as much time as he did with us – 30 minutes. We discussed what our industry means in terms of jobs, revenue, and tax dollars to so many destinations. This meeting took place at a time when meetings were being demonized. But when the President took the initiative to meet with us it showed that this administration has as open ear. How do you see the recovery of the meetings and travel industry unfolding during the coming months? CEOs and executive directors are taking their cues from the consumer, and the consumer is still under tremendous pressure so there is a lag to the recovery. It may take another six months or more – if you look at other recessions it generally takes six months for a recovery to take hold. Tell us about your “Beyond the Boardroom” program that you host on Plum TV. It is the only show on television where CEOs are interviewed by another CEO. We learn how these captains of industry started their careers and achieved success. I’ve dealt with the same issues, so that it a unique aspect of the show – peer to peer discussions. The program currently airs in eight markets on the Fox Business Channel and can be viewed online at http://www.plumtv.com/topics/beyond_the_boardroom. You are becoming a prolific author, and are working on your third book, Citizen You: Doing Your Part to Change the World. Tell us what that is about and when you expect it to be published. This book is coming out in May 2010 and will be a discussion on civic engagement and roles and responsibilities in society. It will talk about how people can get involved in their community and demonstrate caring. This started with my role as chair of the American Hotel & Lodging Association. How will the New York Giants do this year? We are very optimistic that we can put together a lot of wins to get back to the Super Bowl, which will be in Miami Beach. It’s very hard to get to the big game, but we think we can do it. This entry was posted in Industry Insiders and tagged keep america meeting, Loews Hotels, meetings mean business on October 19, 2009 by ConventionPlanit.com. When Americans want commentary on the travel industry, they often tune in to ABC’s Good Morning America or NBC’s Today show, where Peter Greenberg has been a travel correspondent and editor for more than two decades. He was also just named CBS News Travel Editor. He is also host of the nationally syndicated Peter Greenberg Worldwide Radio show, heard live each week on more than 150 stations from a different remote location around the world. Greenberg is also Travel Editor at Large for AARP, Contributing Editor for Men’s Health magazine, a contributor to The New Yorker magazine, and a guest on the The Oprah Winfrey Show and The View. In all your travels you have no doubt attended many meetings, large and small. What is your main impression of how meetings are conducted today? Nobody is thinking outside the box at most meetings. They have motivational speakers who are not very motivational. If people weren’t motivated they wouldn’t be at the meeting in the first place! Meetings are also full of PowerPoint presentations which are coma-inducing. I have told people that if I ever do a PowerPoint presentation I want to be euthanized. You don’t need a PowerPoint to make your point. It’s a ridiculous crutch. What trends do you see in meetings? What is changing is the location of meetings. I was with the folks in Mobile, Alabama recently and they said they were doing great. There’s no perception problem with meeting in Mobile. This economy is sending meetings to places like Wichita and Mobile and many parts of our wonderful country that many people have never seen. What’s your biggest pet peeve about meetings? People who shouldn’t be speaking feel like they have a platform to get up and talk. If someone is going to speak at a meeting make sure they have something interesting to say. Associations also have to hear from outsiders – too often they are talking to each other like a bad fraternity party. They have to make it an information-rich party that relates to your business. Do you have a good war story about a meeting? I was recently a keynote speaker at a meeting and I was asked to give my overview of the travel industry. When it came time for me to speak, I got about two minutes into it and the person who introduced me interrupted me and said, “I don’t want you to talk about that, I want you to talk about this.” He wanted me to talk about the sponsors. He asked for my opinion, and my opinion was to tell him to sit down. If you are going to invite someone to speak to your group, let them speak. How can meeting planners make traveling to and from meetings easier for attendees? We’re talking about airfare, hotel, and ground travel. Air travel is tough because of rising airfares and more limited options. Don’t depend on airlines. Think about other options to get there. On some routes, consider Amtrak. No one ever considers Amtrak. You can actually start the meeting on the train – you have people already on the car. And it might be less expensive. If you are flying, look at alternate airports. You don’t always have to fly through the major hubs. For hotels, realize that you can now negotiate a lot of things you couldn’t do before. Forget about negotiating room rates. Instead, negotiate for free parking, free Internet, a free breakfast, etc. People have to stop being so focused on negotiating room rates — those are discounted already — and instead focus on value. Will Web-based meetings eventually usurp most in-person meetings because of the lower cost and time commitment? The great thing about meetings is it gives you the opportunity to have face time. I am not a fan of teleconferencing. It might work for occasional internal company meetings, but for big-picture stuff and industry-wide meetings nothing beats face to face. And sooner or later, if you really want to get things done, you need to meet in person. This entry was posted in Industry Insiders and tagged association members, meeting & tradeshow success on September 22, 2009 by ConventionPlanit.com. The entire meetings industry has galvanized its effort to promote the value of the industry in the face of tough economic times. TBA Global, LLC, played a major role by launching the “Keep America Meeting” campaign. Alison Smith Jenks, Vice President of Marketing for TBA Global, offers her views on the program in this interview. Why did you launch Keep America Meeting? In January, all of us at TBA Global were really frustrated by the way mainstream media was portraying the meetings and events industry. All the coverage was one-sided and negative, and it felt like no one was speaking out about the benefits of meetings and events and incentive travel. We wanted to create a forum where everyone could come together and voice their opinions in hopes to change the criticism of our industry. Our strategy for “Keep America Meeting” was to keep it simple. We centered it around an online petition that would deliver two messages: Meetings and events are important to building successful businesses, and that they are a critical part of the American economy. We invited the media, associations, and all industry companies to join the effort as ‘official endorsers’ and asked them to promote the campaign to their networks. We made this easy to do by posting all logos and banner and print ads on the website (www.keepamericameeting.org). From there, it took off like wildfire as everyone seemed to understand the urgency of this message. What are the results of this campaign? We believe Keep America Meeting succeeded in galvanizing the entire meetings and events industry around this critical issue. We are thrilled by the success of the campaign! More than 21,000 individuals signed the petition and it received support from people in all 50 states, and even around the world. It was signed by people employed in all facets of the events, meetings and incentive travel industry, including caterers, décor companies, event producers, meeting planners, hotel managers, and numerous local small business owners. The petition was also signed by family members concerned about the loss of meeting and event revenues and the impact on their lives. The campaign helped to support the U.S. Travel Association’s press outreach, and we saw that mainstream press coverage became much more balanced. On May 13, 2009, the Keep America Meeting signatures were delivered to the Senate Commerce Committee to continue our industry’s advocacy efforts. What are the next steps for Keep America Meeting? Now that the petition signatures have been delivered, we hope people will remain connected and involved. The silver lining in all of this is that our industry has come together like never before, and we hope everyone will stay engaged by joining our “Keep America Meeting” groups on Facebook, LinkedIn and Twitter (@keepmeeting) to continue our discussion about the importance of meetings and events. Many hospitality organizations supported your cause during National Tourism Week and especially on National Tourism Day, when many rallies were held across the country. What were a few of the highlights of these rallies? May 12th was an incredible day – there were more than 40 cities across the country that united to make a bold statement that travel matters! Each event was unique and included industry leaders with a unique twist, such as a parade in New Orleans and a skyline view with the White Sox mascot in Chicago. All of the rallies delivered a common message about the impact that travel has on each city’s economy, businesses and community as a whole. We connected all these events digitally through Twitter, letting technology enhance the power and reach of the local events. This is a great example of how technology won’t replace meetings, but it will broaden the reach! I think we counted 500 Tweets that day. This entry was posted in Industry Insiders and tagged keep america meeting, meetings mean business on September 22, 2009 by ConventionPlanit.com.